The Echo Mini pendant is a beautiful contemporary pendant. 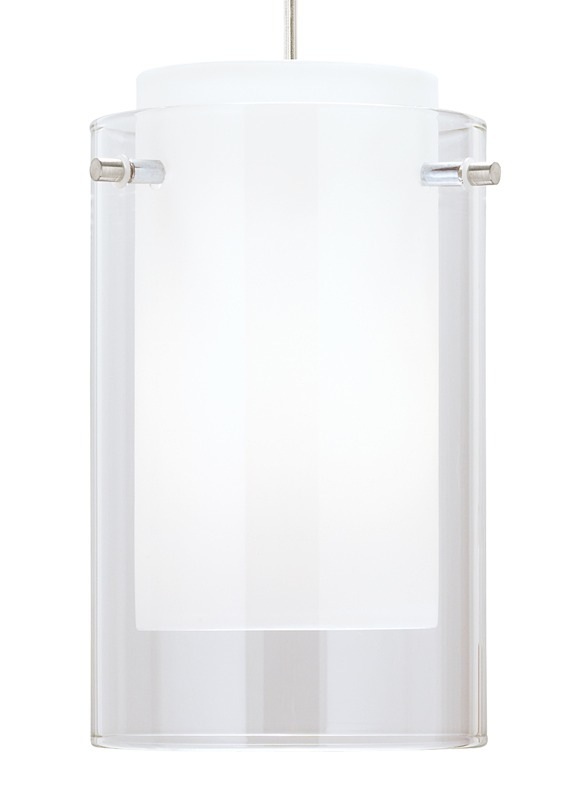 A transparent glass shade encompasses a white cylinder glass shade. This simple yet stylish piece will look great in a kitchen or wherever you need. 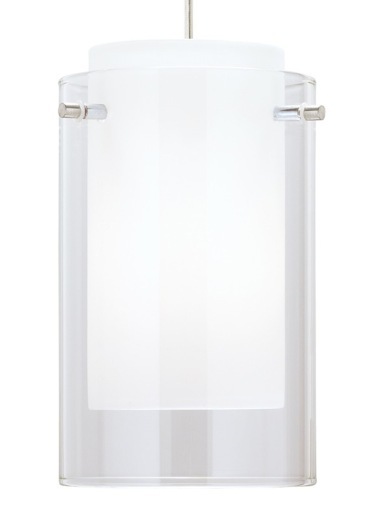 The fixture includes a 60 Watt bulb (small) or 75 Watt bulb (large) and six feet of field-cuttable suspension cable. Dimmable with standard dimmer. Select antique bronze, black, satin nickel or white hardware finish.